Short chapters, great stories, and study tools! 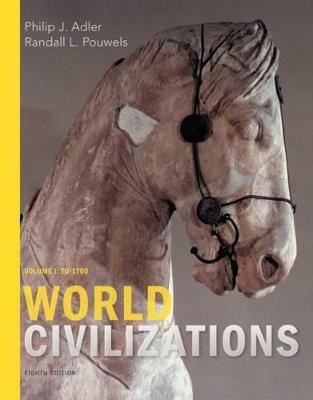 Adler and Pouwels's WORLD CIVILIZATIONS is a vibrant introduction to world history structured to meet the demands of your study schedule. It's clearly written, packed with charts and illustrations, and loaded with review features so you'll be up to date in class and ready for tests. And, because WORLD CIVILIZATIONS offers extensive coverage of Asia, Africa, and the Middle East, you'll have timely historical insights into the issues that make today's news. Get this book and discover how manageable and interesting history can be.